Photos are ready in 15 minutes. Open 7 days a week with appointment only. 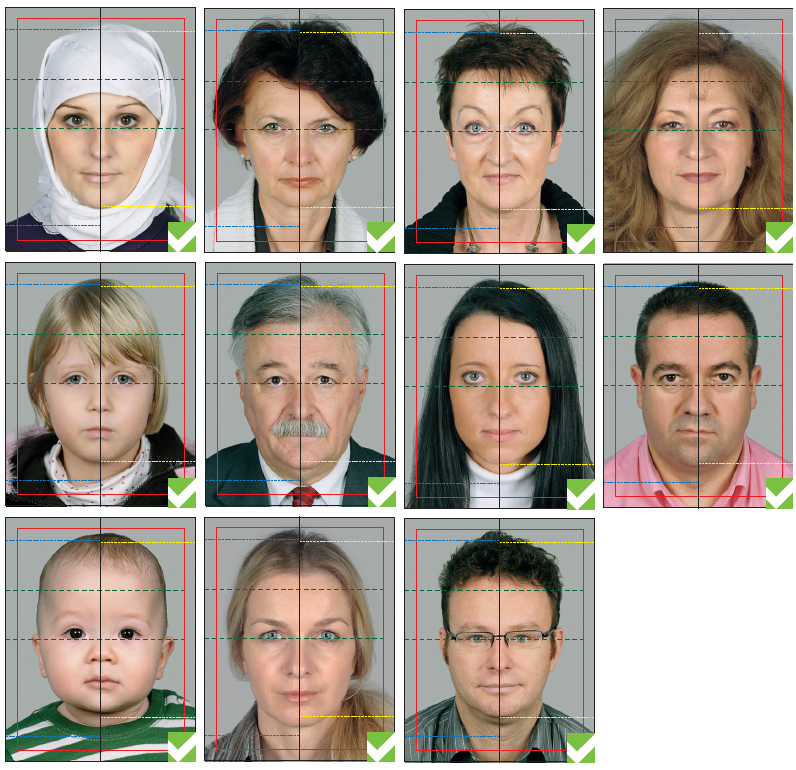 Williams passport photos policy: Your satisfaction guaranteed! The photo we provide will never get rejected! – Make sure you provide the correct number of photos specified in your application guide. – You must provide identical and unaltered photographs. – Photographs may be in color or black and white. – Photographs must be original and not altered in any way or taken from an existing photograph. – Photographs must reflect your current appearance (taken within the past six (6) months). 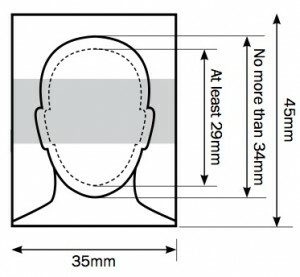 – 50 mm x 70 mm (2 inches wide x 2 3/4 inches long) and sized so the height of the face measures between 31 mm and 36 mm (1 1/4 inches and 1 7/16 inches) from chin to crown of head (natural top of head). – clear, sharp and in focus. – taken with a neutral facial expression (eyes open and clearly visible, mouth closed, no smiling). – taken with uniform lighting and not show shadows, glare or flash reflections. – taken straight on, with face and shoulders centered and squared to the camera (i.e. 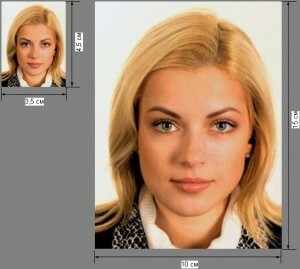 the photographs must show the full front view of the person’s head and shoulders, showing full face centered in the middle of the photograph). – taken in front of a plain white background with a clear difference between the person’s face and the background. Photographs must reflect/represent natural skin tones. bear the name and date of birth of subject, as well as the name and complete address of the photography studio. 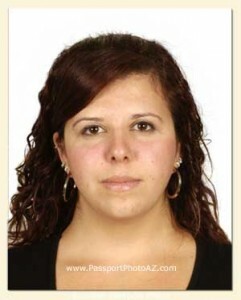 Two passport size photographs, at least one notarized by a Notary Public. The face should occupy no more than 70% of the photography. 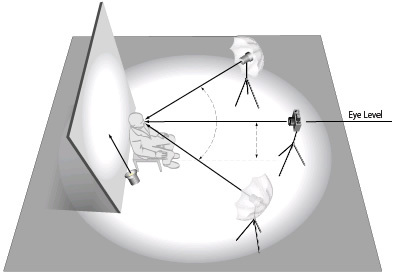 On all 4 sides of the photography should be 3-5 mm of empty space from head to the edge. Photography may be black-and-white or color. Background color should be light brown or light blue, definitely not white or dark blue, ideally neutrally gray. For blond people use slightly darker gray background. For dark colored people use lighter gray background. Background should have no shades or patterns. Photography colors should be neutral and should clearly show natural skin tone. Photography should be printed on high-quality paper at a minimum of 600dpi. Cut the photography with square corners. The person should not show their teeth. Head should be straight, not at an angle or sideways, with nose in the center of the photography. The expression on the on the face should be neutral, lips closed, with look/in the camera. Sharpness and contrast are important; no read eyes. The face should be equally bright with no shades. For people wearing glasses… the frame should not cover their eyes and there should be no visible reflection on glasses. For kids… no parent’s hands or toys. For blond and white haired people… best to take a black and white picture. 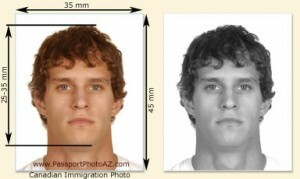 1 recent passport-size (35–45 mm) photographs (see Photograph Guidelines document). Please write your name on the back of each photo. DO NOT STAPLE the photos to your application form . 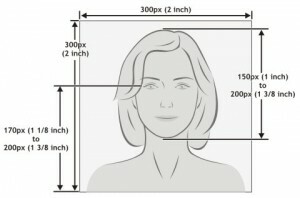 See: http://www.luxembourg-usa.org/Photograph-Guidelines.pdf. 1 – You can not wear any kind of glasses when taking these photos. The form must be completed, signed and attached with with 01 original photo (4 x 6 cm) . In case of a loose-leaf-visa request, 01 additional photo must be stapled to the form. Two photos 5 x 5 cm photograph, glued or stapled to the application form. The photograph must have been taken within the last six months. Submit 1 passport photograph 5 x 5 cm taken by a passport photographer. Photos ready in about 15 minutes. 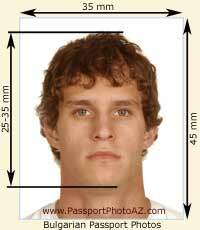 Williams Passport Photos one location only in Phoenix, AZ. Passport Photos and Visa Photos are ready in about 15 minutes. You need to book an appointment and we are open 7 days a week. 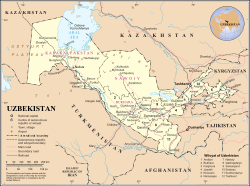 A US visa is issued by a U.S. Embassy or Consulate. A visa entitles the holder to travel to the United States and apply for admission; it does not guarantee entry. An immigration inspector at the port of entry determines the visa holder’s eligibility for admission into the United States. Anyone who is not eligible to enter the United States visa free under the US Visa Waiver Program or is not exempt from the US visa requirement. Please note: Travelers born in the United States and those who hold dual citizenship with the United States must enter and depart the United States on US passports. 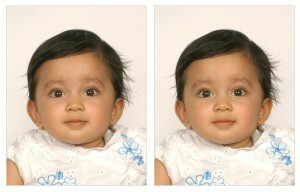 Baby Passport Photos: If under one year of age, baby does not need to have eyes open and there should be no supporting hands visible. 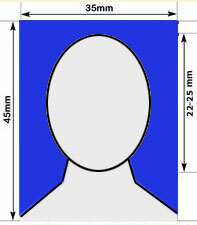 Photo size for children over six are the same for adults but the head size can be between 21 mm and 34 mm. For more information, please visit the Indian Passport and Visa web site. the crown of the head to the tip of the chin. 4. Please ensure both ears, neck, and shoulders are clearly visible. 5. 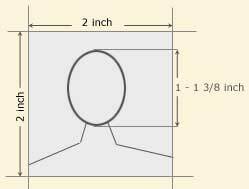 The head must be centered within the frame. 6. Photo should present Full face, front view, eyes open. colored clothes (not white clothes). 8. Photos with dark, busy, or patterned backgrounds will not be accepted. 9. No shadows on the face or on the background. 1. The light should be even and balanced to avoid shadows on the face. 3. Print photo on thin photo paper. 4. Ensure the print is clear and has a continuous-tone quality. *Different Indian Embassies may require different sizes. 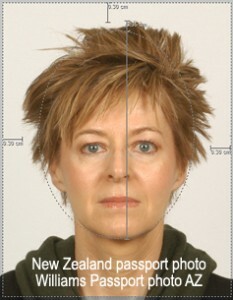 Passport or visa photo will be ready at the same time of appointment. only one location in Phoenix, AZ. Eye distance 8 mm-10 mm.